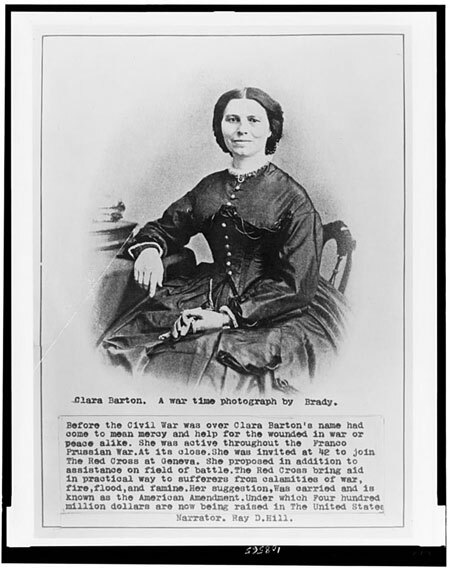 Today in History–May 21–TPS-Barat features Clarissa “Clara” Barton, who founded the Red Cross on this date in 1881. A former teacher, Barton was working in the U.S. patent office at the start of the Civil War. Despite having little nursing training, Barton administered aid to soldiers at several battlefields, After the war she established the Missing Soldier Office in Washington, D.C., led effort to establish a national cemetery at Andersonville Prison, and, in 1881, founded the American Red Cross. Learn more about this tireless advocate for the nation’s soldiers and the American Red cross by investigating the primary sources and other resources linked to below.